"The most important office in America for anyone to achieve is full-time citizen." 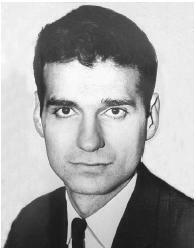 After Princeton, Nader attended Harvard Law School, where he edited the Harvard Law Record, and graduated with distinction in 1958. It was at Harvard that he first became interested in auto safety. After studying auto-injury cases, in 1958 he published his first article on the subject, "American Cars: Designed for Death," in the Harvard Law Record. It contained a thesis that he would bring to national attention in the mid-1960s: Auto fatalities result not just from driver error, as the auto industry had maintained, but also from poor vehicle design. Nader followed his law degree with six months of service in the Army and then a period of personal travel through Latin America, Europe, and Africa. Upon his return, he established a private law practice in Hartford, Connecticut created an informal legal aid society, and lectured from 1961 to 1963 at the University of Hartford. Taking some of his inspiration from the Civil Rights Movement, Nader stood up to the most powerful companies in the world. His book targeted the safety problems of the Chevrolet Corvair, a product of the world's largest company, General Motors (GM). He convincingly marshaled evidence that the driver could lose control of the Corvair even when it was moving slowly, thus making it "unsafe at any speed." The Goliath GM did not take kindly to the stones thrown by this David, and the company began a campaign of harassment and intimidation that was intended to abort Nader's efforts. Subsequent congressional committee hearings in 1966 revealed that GM's campaign against Nader had involved harassing phone calls and attempts to lure Nader into compromising situations with women. The company formally apologized before Congress for these tactics.